It is only a matter of time before Jurassic Park becomes a reality. We are already living with the weird hybrid technology of Dr. Moreau. In fact, high school students from around the world compete in the annual International Genetic Engineered Machine (iGEM) competition, like Science Fair for prospective Dr. Frankensteins. What does that mean for humanity, as we have thus far known it? 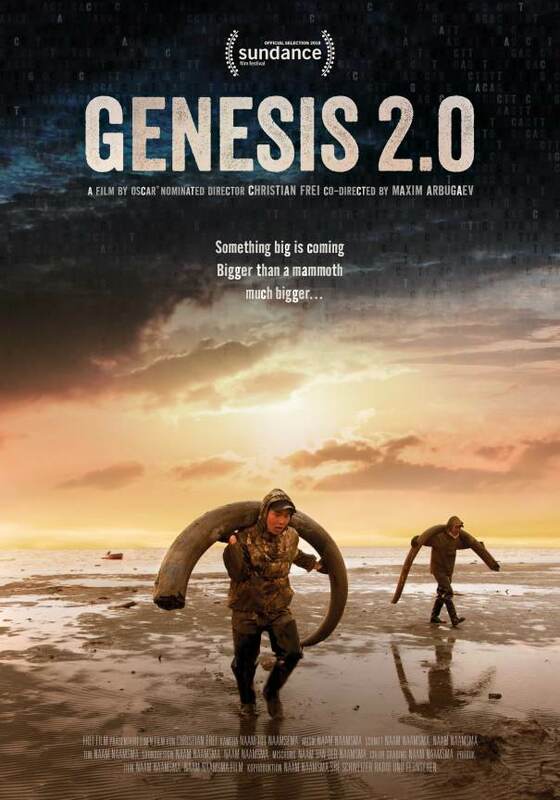 It is hard to say, but the woolly mammoth may yet get a new lease on life, thanks to the paleontologists and researchers working to revive the extinct species in Christian Frei & Maxim Arbugaev’s Genesis 2.0, which screens again today as the winner of the World Documentary Special Jury Award for Cinematography at the 2018 Sundance Film Festival. The woolly mammoth once roamed free throughout Siberia and its remains can still be found just beneath the ground of the New Siberian Islands. When the weather permits access to the archipelago, hearty fortune hunters band together in search of tusks. They really do not care about the rest of the skeleton, but sometimes they will pass on word of a particularly complete looking specimen. Peter Grigoriev, the primary representative tusk hunter is probably better about that than many of his colleagues, since his brother is paleontologist Semyon Grigoriev, the director of the Mammoth Museum in Yakutsk. Thanks to tips from tusk hunters, the adventurous academic recovers a mammoth body that still has preserved, running blood. Eventually, Grigoriev will take those live cells to Hwang Woo-suk—yes, the very same Hwang of the stem cell research scandal—whose Sooam Biotech regularly churns out perfect clones of deceased family dogs. However, for a prospective job like this, they will need the resources of the National GeneBank in China. So, if you want to see a live woolly mammoth in your lifetime, eat healthy, exercise regularly and maybe it will happen. 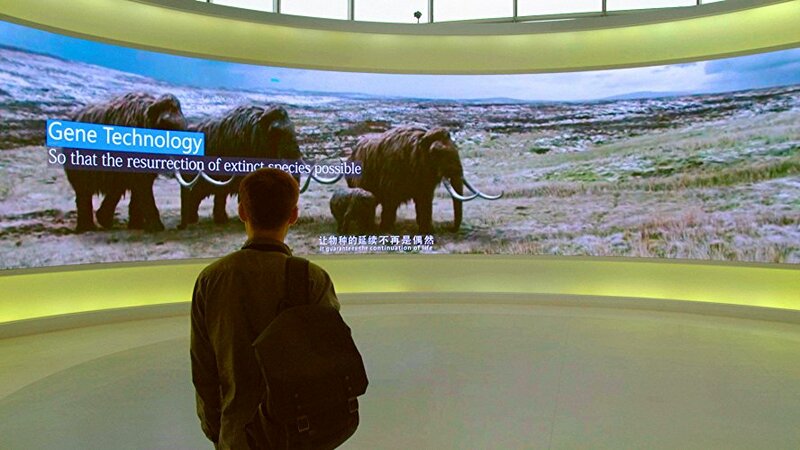 However, if the mammoth is resurrected, it will most likely happen in China. Frei hints at the possible downside to conceding the future of genetic engineering to China through a tense exchange between Hwang and the PR liaison for the National GeneBank, who seems completely baffled when Hwang’s American colleague expresses ethical qualms regarding the prospect of genetic engineering Down Syndrome out of existence. Who knows what else might be targeted? There is much to consider in Genesis 2.0, but Frei gives us time to do so. This is a ruminative film that values imagery and symbolism over information downloads. Both Frei and Arbugaev, the former hockey player turned filmmaker, who documented the tusk hunting as co-director and Siberian cinematographer, are clearly fascinated by the parallels between the genetic and primeval trophy-hunting pursuit of the woolly mammoth, occurring simultaneously and represented by the odd couple brothers. They certainly capture some remarkable images, especially Arbugaev, who likely deserves most of the credit for the Jury’s cinematography award. Some slight pruning would probably make Genesis 2.0 stronger, because it is a bit slow at times. However, it dramatically illustrates our current technological tipping point. Neither Frei & Arbugaev nor Grigoriev or even Harvard genetic engineering guru George Church tell us what we should think about of all this, but the film makes it clear we should start giving it some serious thought. Recommended for science buffs and armchair futurists, Genesis 2.0 screens again today (1/28) as an award-winner at this year’s Sundance Film Festival.